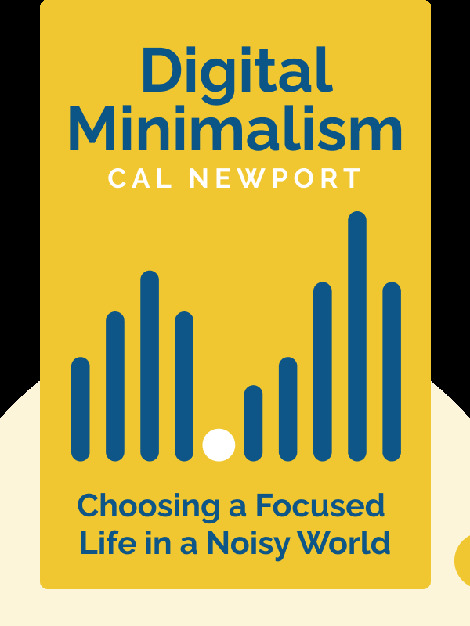 Digital Minimalism (2018) is a practical guide to navigating today’s media landscape, where multiple billion-dollar companies are out to keep your eyes as glued to their platforms as possible. Fortunately, there is growing skepticism surrounding new technology and digital media. People are eager to regain their autonomy and, while they’re at it, live more satisfying and healthy lives. With these tools and methods, you too can regain the focus and productivity that comes from stepping back from new technology. 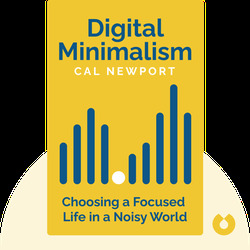 Cal Newport is a professor at Georgetown University, where he teaches Computer Science and frequently writes about the impact technology has on our daily lives. His previous books include Deep Work: Rules for Focused Success in a Distracted World (2016).